I spend a ridiculous amount of time on my iPad. I have tried to reduce the hours I allow myself to use it but the convenance it brings me and the constant arrival if new apps I can't keep myself from the wonder tablet. Due to my days spent on my iPad I have been able to build up quite the app collection some of which are essential for your tablet. Snapchat - if you haven't heard about this app you have been clearly living under a rock. The perfect way to chat to friends by sending them a video or picture of yourself with a short caption. It is even becoming popular amongst the YouTube community. 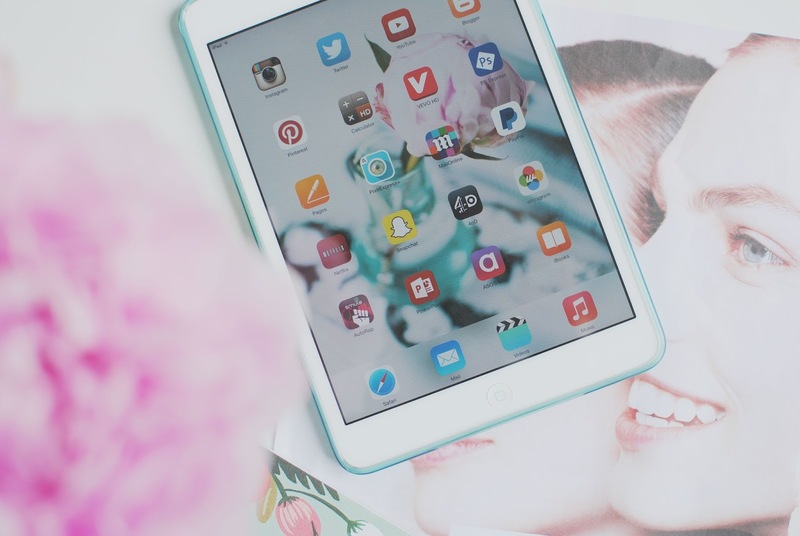 Bloglovin- what a love / hate relationship I had with this app. Before it's much needed update it was slow to refresh and checking out your newsfeed on the go was a pain but since then it has had an amazing update making it a lot cleaner and easier to navigate. Netflix- after my free trial of this service I have managed to become addicted to far too many shows including The Vampire Diaries which has made me become obsessed with anything vapire themed but they need to introduce series 5 as the suspense is killing me. Instagram- I don't think I really need to explain this one other than everyone has it plus it is the perfect location for anyone who loves to take photographs. Mail online - this app is my guilty pleasure. I wish I could tell you I use it to catch up on the latest current affairs but instead you will find me treating myself to the world of celebrity gossip. Whitagram- this is the perfect app if you don't want your Instagram image to be cropped something I hate. This lets it be resized without the best part of the image to be cut out. VSCOcam- I only discovered this photography app a few weeks ago. There are different filters which are so pretty an app you need to download. What are your favourite apps ? I love this post! These are pretty much my favourite apps. The suspense on vampire diaries is killing me too!! Do you have their photography app? These are my favourite apps too! Great selection! I'm the same, how much time is too much time indulging in the world of interactive creativeness forever discovering new treasures?! Fab post, thanks for sharing. I have all these apps already I love snapchat and Instagram. I had such a strong hate for the Bloglovin app, you weren't even able to look at your own profile! I'm so happy about the update and I use it a ton more.